Nature gives us the beautiful healing vibrational colors of green which are there to heal our heart energy. I have often thought that there is no mistake that the Universe surrounds us in the beautiful colors of green which heals the Heart chakra. 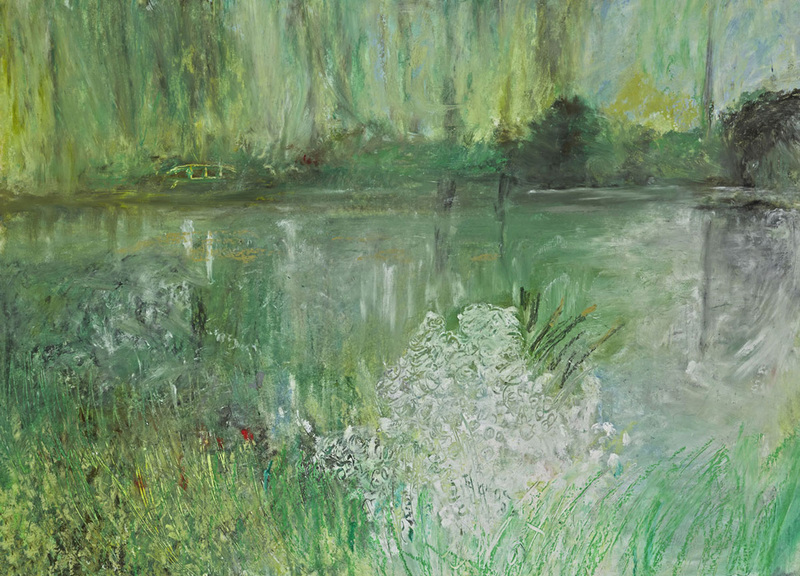 Monet's garden is a masterpiece of the vibration colors of green. Nature and its green color is the greatest healing for the heart.